Skill and compassion go hand in hand when providing exceptional patient care. As dental professionals, We stay up to date on the latest advancements in dentistry in order to provide the most current treatment options for our patients. As pediatric dentists, We recognize that our patients are unique individuals who's families have placed a great deal of trust in our team. That is just one reason why We value each and every patient relationship. We appreciate the time you’ve taken to visit this site and find out more about our dental practice, and the many pediatric dentistry services we can provide to help your children achieve optimum oral health. Dr. Cho was born in South Korea and immigrated with his family at 6 years of age and grew up in Grinnell, Iowa and Lincoln, Nebraska. Following graduation with a B.S. degree from Nebraska Wesleyan University, he obtained his DDS degree at the University of Southern California (USC) and completed his specialty Pediatric Dentistry training at the University of Nebraska Medical Center in Omaha. He received Board Certification in Pediatric Dentistry from American Board of Pediatric Dentistry. Dr. Cho has been practicing pediatric dentistry since 2009. He has practiced in a busy pediatric dental practice in Peoria, Illinois and in Fremont, Nebraska before moving to Houston in 2015. He has participated and lead dental mission trips to Guatemala, Mexico and El Salvador for many years through Christian Medical Dental Association. He is a member at Hope Church in Jersey Village. Dr. Cho's career path in dentistry and specifically to pediatric dentistry is by God's providence and grace. His goal and mission in life is to worship Jesus Christ to providing best care for his patients as if they were his own children, and to continue to be a "learner/student" of pediatric dentistry. He enjoys reading books along with his coffee, working out, playing golf, traveling, enjoying good food with good company, spending time with family, and volunteering in outreach projects and mission trips. He hopes to continue with these mission trips. 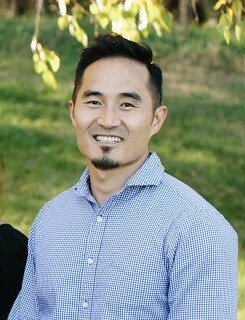 Dr. Cho has Christian worldview and values, a very friendly demeanor and has the patient’s best interest in mind. He is Board Certified in Pediatric Dentistry, a member of American Academy of Pediatric Dentistry, American Dental Association, Texas Dental Association, and Christian Medical Dental Association. Dr. Gaw grew up in the north side of Houston and later in the Heights. he graduated from Sam Houston High School in 1968. he attended college at the University of Texas at Austin, and graduated with honors in 1972. His dental degree was obtained at the University of Texas Dental Branch in 1976. Dr. Gaw completed his pediatric dental residency at the University and Texas Children's Hospital. during the residency, he served as chief resident and finished his specialty training in 1979. 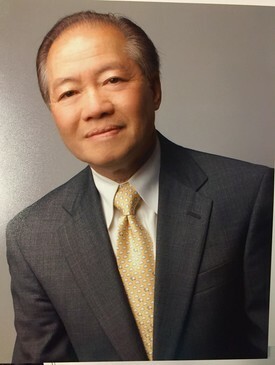 Dr. Gaw set up his practice at his present location in 1981. for the last 30 years and continuing, he has served the community as a pediatric dental specialist with emphasis in growth guidance and development. he continues in active practice at his office, with one day per week teaching at the University of Texas School of Dentistry as a clinical assistant professor.